When seasons change, many of us go through our wardrobe and pack up winter clothes to make room for spring items! It is common for some of these winter clothes to made from wool or silk, which are both very attractive to clothes moths. 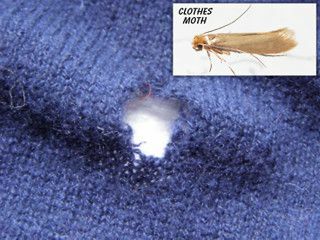 Less attractive fibers such as acrylic and cotton can be eaten by clothes moth larvae as well. As a result, storing clothes properly this spring could prevent hundreds of dollars in damaged clothing. Below are our suggestions to properly stow clothes. 1. Wash (or dry clean) clothing at the end of the season according to the label instructions. This will kill any larvae or eggs that may be on these articles already and get you ready for storage. 2. Stow clean clothing in air-tight storage bins, chests, or closets. Why air-tight you ask? To kill or prevent moth damage, products work best when used in an air-tight storage bin so that chemicals can penetrate nooks and crannies of clothing and so that preventers can be potent enough to repel insects if they try to enter. 3. Use preventers or repelling vapors to keep moths out of these areas. Preventers are generally all-natural and include herbal products such as Moth Away sachets (mint scented pouches) or cedar wood products. These products are completely safe to use and are the most popular choices among our customers. 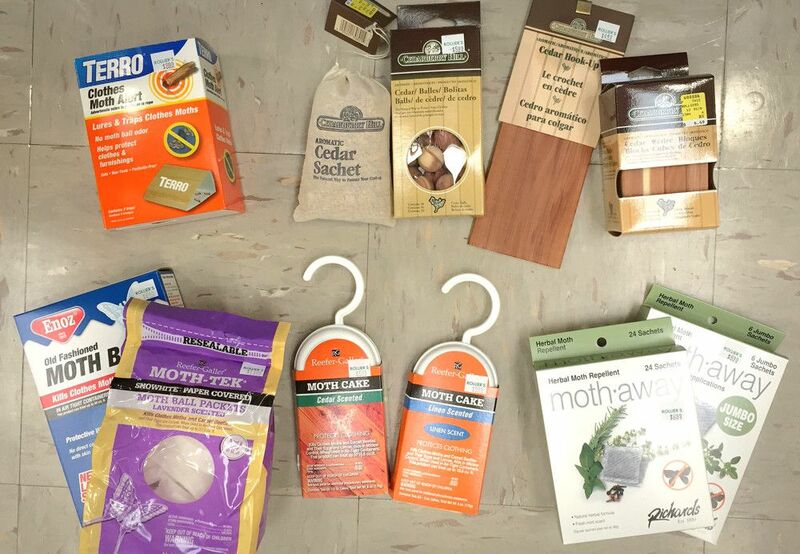 Repelling vapors such as moth balls are still available today and these products will kill and prevent moths when used in air-tight storage areas. Again, be sure to read the instructions to be sure that you are using enough of both these products to ensure effectiveness. 4. Rest peacefully knowing that your expensive clothing items will not be damaged from clothes moths this season.